Please note: The March 3rd, 4th & 6th events at NYU are Free and Open to the public. No rsvp required. Watch the March 3rd, March 4th and March 6th discussions livestream at: http://new.livestream.com/accounts/7358155. 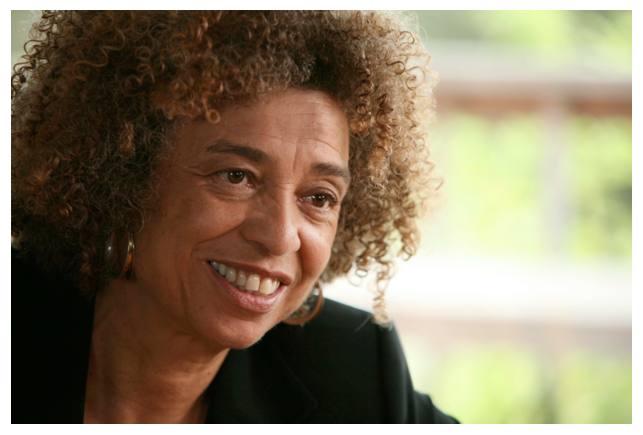 Through her activism and scholarship over many decades, Angela Davis has been deeply involved in movements for social justice around the world. Her work as an educator – both at the university level and in the larger public sphere – has always emphasized the importance of building communities of struggle for economic, racial, and gender justice. The author of nine books, Professor Davis’ teaching career has taken her to San Francisco State University, Mills College, and UC Berkeley. She also has taught at UCLA, Vassar, the Claremont Colleges, and Stanford University. Mostly recently she spent fifteen years at the University of California Santa Cruz where she is now Distinguished Professor Emerita of History of Consciousness – an interdisciplinary Ph.D program – and of Feminist Studies. 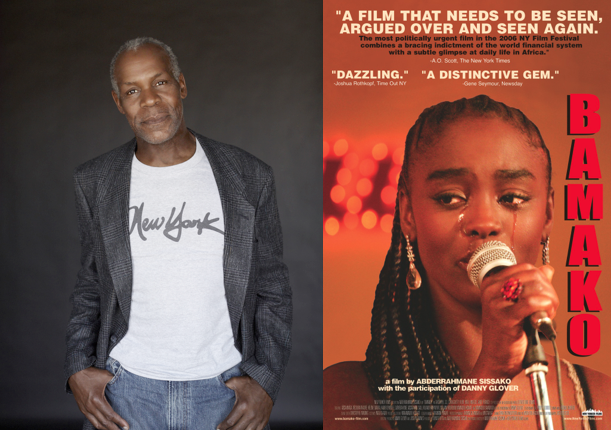 Written and directed by the celebrated filmmaker Abderrahmane Sissako and co-executive produced by Danny Glover (who also provides a cameo in the film) this critically acclaimed political drama offers a unique look into contemporary Africa. court has been set up. African civil society spokesmen have taken proceedings against the World Bank and the IMF whom they blame for Africa’s woes. Amidst the pleas and the testimonies, life goes on in the courtyard. 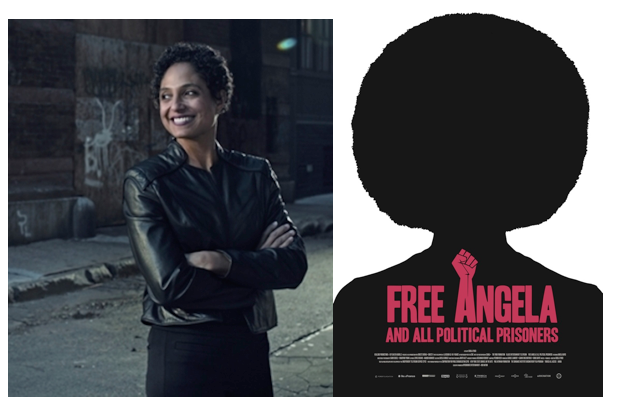 Writer/director Shola Lynch follows up her 2004 documentary Chisholm ’72: Unbought and Unbossed, about Congresswoman Shirley Chisholm’s historic run for president in 1972, with her eagerly anticipated second feature documentary Free Angela & All Political Prisoners. The film is a first-hand account of the events that thrust Angela Davis into the national spotlight from a young college professor to a fugitive on the FBI’s Ten Most Wanted list. Free Angela premiered at the Toronto International Film Festival. Code Black and Lionsgate distributed the critically acclaimed documentary in theaters this past April. 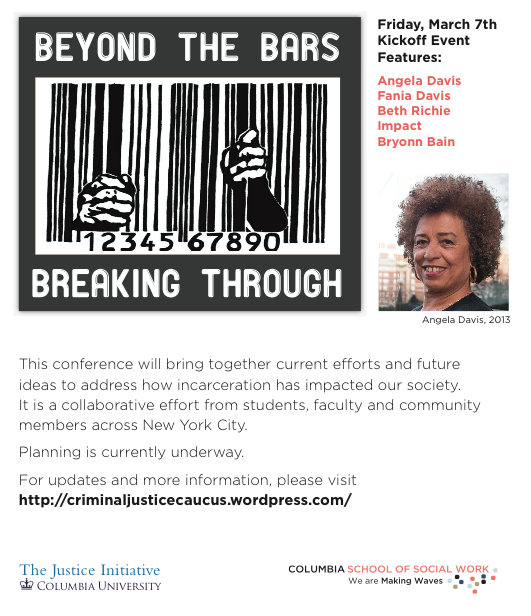 Attendees for the Beyond the Bars Conference at Columbia University must visit http://criminaljusticecaucus.wordpress.com/ for updates and more information. Co-sponsored by Africana Studies Program, NYU LGBTQ Student Center & NYU Center for Multicultural Education and Programs. 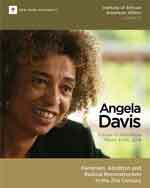 The NYU-IAAA Angela Davis Scholar-in-Residence programs are free and open to the public. Space is limited.